can you talk when you are eating or using your booze breath attack?? This entry was posted on Friday, January 28th, 2011 at 5:33 pm and is filed under Uncategorized. You can follow any responses to this entry through the RSS 2.0 feed. You can leave a response, or trackback from your own site. Pilli in the first panel… So strange. 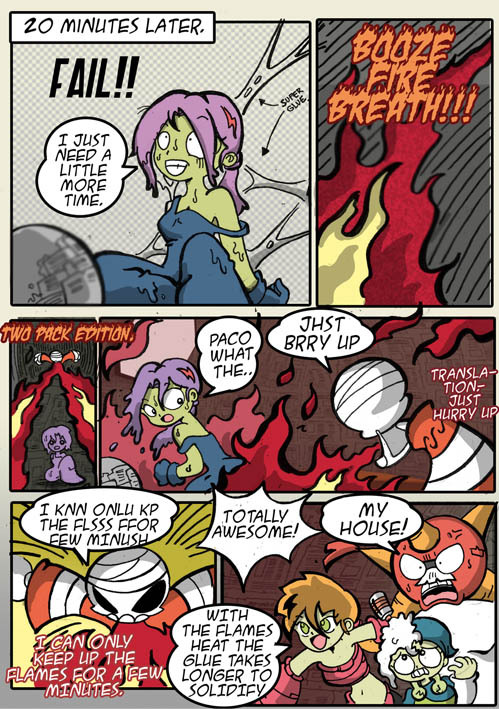 But why didn’t pilli or the pinata burn? It should be 'solidify' by the way, I think that was a typo.